“Achieving Prosperity” is one of three topics Hillary Clinton and Donald Trump will discuss in the first presidential debate. For millions of Americans who will tune in to hear the candidates’ solutions, there are two major obstacles to achieving prosperity: health care and taxes. And when you combine the two, too many families are paying the price. The Health Insurance Tax (HIT) – imposed as a way to pay for the expansion of health care – has been particularly crippling for hardworking families, seniors, and small businesses. Estimates show that annually the tax will cost small businesses $500 per employee. 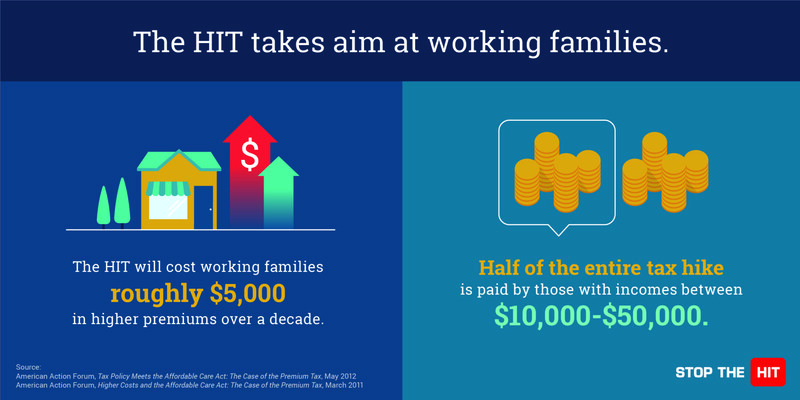 Likewise, the HIT will cost working families roughly $5,000 in higher premiums over a decade. At a time when too many can’t afford today’s costs, more than half of the entire tax is paid by those with incomes between $10,000 – $50,000. With higher costs and declining coverage for small businesses, solving the problem of the health insurance tax is critical. Stories like Derrick’s are all too common. Small business owners who try to do the right thing for their employees but are held back. The health insurance tax forces businesses to pay higher costs instead of creating jobs; sending money to Washington instead of expanding their business. That’s why so many small business owners – from communities and neighborhoods across America – are demanding that Washington make HIT relief a real priority. Our next President will have a responsibility and commitment to protect the engine of our economy: small businesses. And stopping the health insurance tax is one of the first and most important things they can do to help small businesses achieve prosperity.